Ant and Bee scouted ahead, Molly with Macho and Cuddles made sure the path was clear of all dangers, Geru flew above to see if their was an easier path and telling Sue if they needed to change their map. 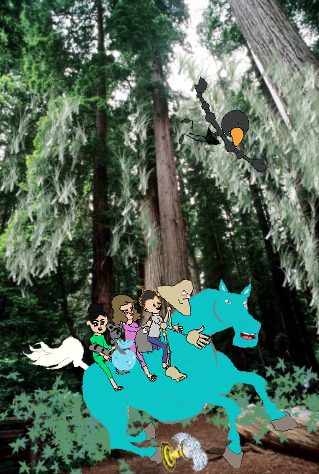 Edgar, Molly, Sue, George, Rabbit, and Turtle pulled and pushed The Dream Horse up the trail. The Warrior talked to them all so they each knew what the other was doing and would come to their aid if one needed more help. 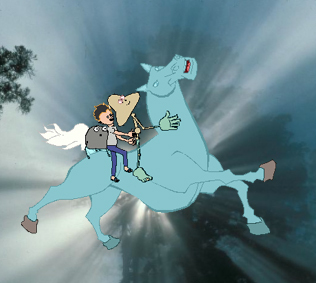 The PATH was indeed hard as the Widgets and Warrior pushed The Horse of Dreams up the Mountain. At about half the way up the Mountain they came upon a cliff. There did not seem to be anyway around it or up it. Trolls were coming up behind them. They were trapped. 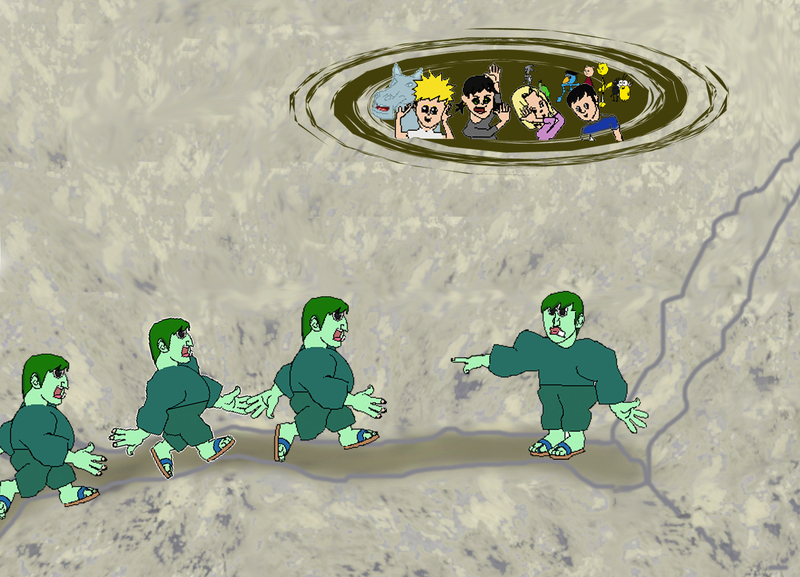 They found a cave to hide in hoping the Trolls would not notice them and turn around and leave. The trolls were huge. They were not in the cave very long when they heard noises further in. Very quietly they explored and came upon a Dragon, a very huge Dragon. It was Dameon. He could smell their presence and began to roar. 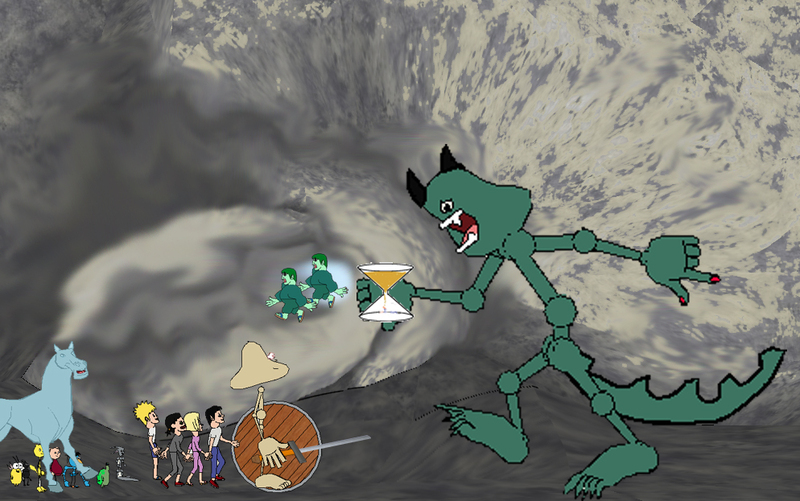 The Dragon agreed but added, ‘You must leave as hostage your Widgets and Children.” He would give him only the time it took for the HOUR GLASS to empty.He pointed to the exit for Mr. Do and the horse to take. Warrior agreed and the Dragon let Warrior and Dream Horse through and retained the Widgets and Children. Warrior was in another trap, he had to obtain the Wizard Dust for the Dragon, the same dust he needed to sprinkle towns folks for help. He also knew the Dragon would not release his Widgets and Children. He now had to go down the Mountains and find and fight his own Group Dragon and return to fight Dameon in the cave and the Trolls. He had no help to get his Dream Horse back up the Mountain. Off they went down the Mountain, on a trail that did not pass the Trolls, passed the Wizard Huts, and down into the Easy Path. It was wide and appeared to be easy but there were huge holes, it was dark and eerie, and there were paths everywhere leading no where. It was a huge maze. But where were the others? Time was running out, the hour glass was letting sand fall. They began to clear out the webs and sure enough they found Spiedie and Ragde. Spiedie and Ragde were glad to see them as they had been in the web a long time alone not knowing where to go as they could not see clearly but all was distorted. They climbed up on to the Horse. They all came to a hill and a path going into the valley. 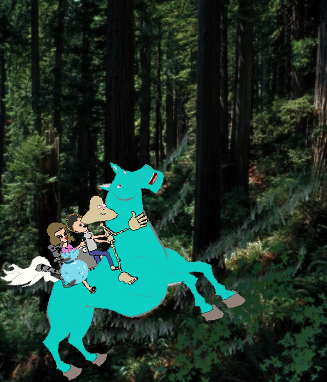 Geru said, ‘Raccoon and Charlotte, his pet, want to keep all the Wizard Dust, so they will be weighted down, they will take the path going down.’ So down they rode. Sure enough they found Raccoon and Charllette. They too were happy to see someone, the sack of Wizard Dust was very heavy and they were tired of dragging it. They too got on the Horse. They had the dust and could now go back. But they needed more help to again get the Dream Horse up the Mountain. The Warrior, Consciousness, said, ‘Quiet, I hear Crow in the distance. So off they flew following the squadk of Crow. ‘Where is Destiny?’ inquired Warrior? They all flew down and she too climbed on the Horse. The children were heavy and the Horse was beginning to pant. They had yet to find Larry, Coyote, and Dragon. They all got very quiet. A fellow was going by and they asked him if he had heard of any fights around. He directed them to the North but cautioned them that the fight was very fierce. Warrior told the kids to take out their pocket Warriors to fight the Pocket Dragons to distract them so he could fight the Group Dragon, that this had to be a coordinated fight. They all needed to fight together if they were to win. The pocket Warriors grew as the pocket Dragons began to shrink, and along with them the Group Dragon began to shrink and loose his fire. 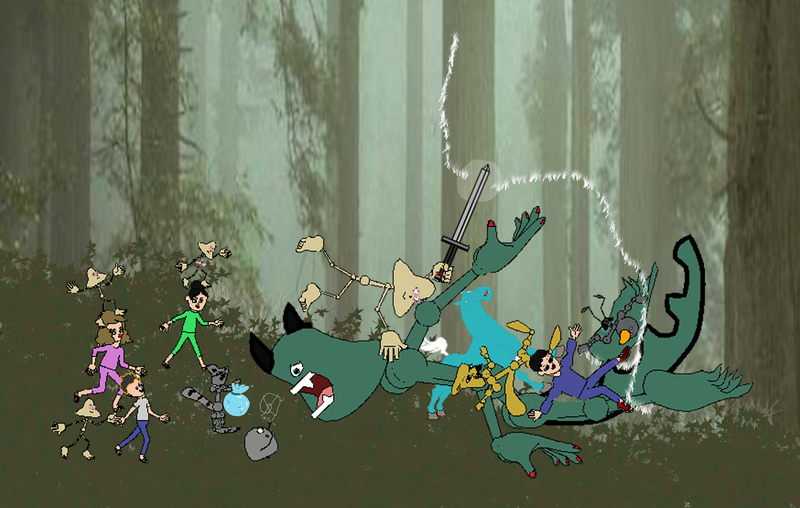 As the pocket Warriors fought the pocket Dragons Spiedie covered the Dragon’s eyes with webs, Raccoon Distracted him with the Bag of Dust, and Crow entangled his legs with a vine making him stumble. 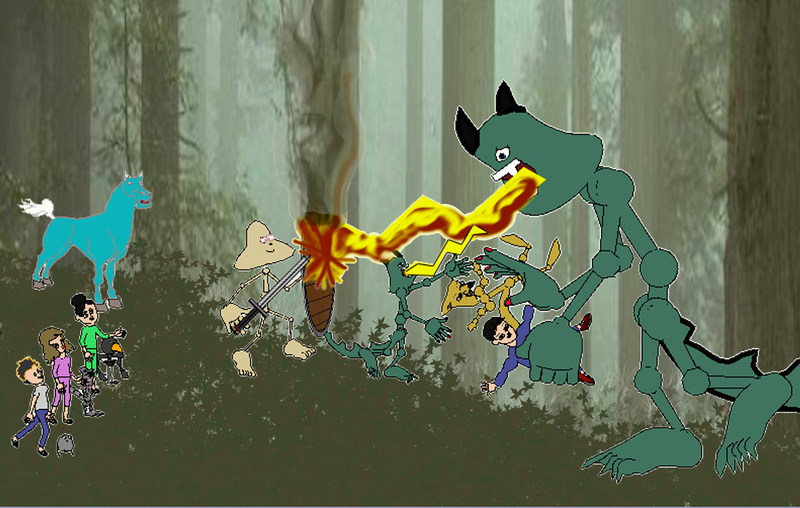 Warrior took three big breaths of air and lunged at the Dragon putting his arms around his neck. ’NOW!’ he yelled. As the Dream Horse, widgets, kids, and picket Warriors jumped on Dragon, Warrior cut the vines with his sword of Honor and away they flew directing. The hour glass was about empty. They had to made it back before the Sand hour was up. A lot of Trolls had came and were watching the cave so no one would escape. Dameon still would not allow them to pass. He wanted their Widget Dust, all of it. That would mean the spell would go on forever and eventually everyone would be prisioners of Dameon and very very sad. They had made it back before the Sand hour was up. But Dameon still would not allow them to pass, he would not even let them return down the Mountain. He wanted their Widget Dust, all of it. That would mean the spell would go on forever and eventually everyone would be prisioners of Dameon and very very sad. A lot of Trolls had came and were watching the cave so no one could escape. The Group Warrior knew that Dameon was too big for eight children, their widgets, and himself. 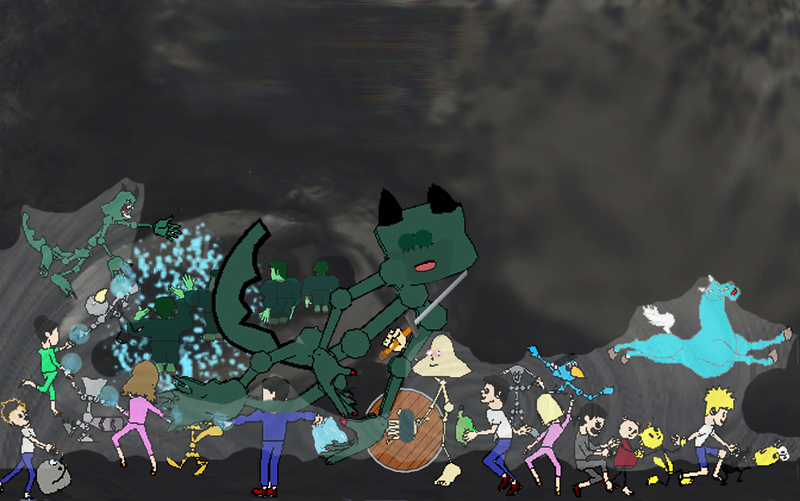 Even if their Group Dragon pitched in Dameon was too big and powerful for them all to escape. They needed a plan. They needed to sneak out to get Empatha’s help, and sprinkle the dust on the city to make an army big enough to continue up the Mountain to free the Princess to Wed the Prince and bring peace. ‘We need keen eyes and ears to find our way in the dark and not stumble,’ cautioned Warrior. Bee, Ant and Edgar volunteered to lead the group. We need a good planner, to help us do this right,’ added Warrior. We also need to disguise ourselves. ‘Then we need to somehow get them to to think all is ok,’ said Warrior. Warrior continued, ‘Someone needs to steal the Bag of dust from Dameon to be able to do that. So they made their plans and when evening came and Dameon fell asleep. Spiedie spun a web and Ragde helped Spiedie cover Dameon’s eyes. Charlotte and Raccoon Sprinkled Some Dust in the far corner and the Trolls turned their heads toward it and relaxed. 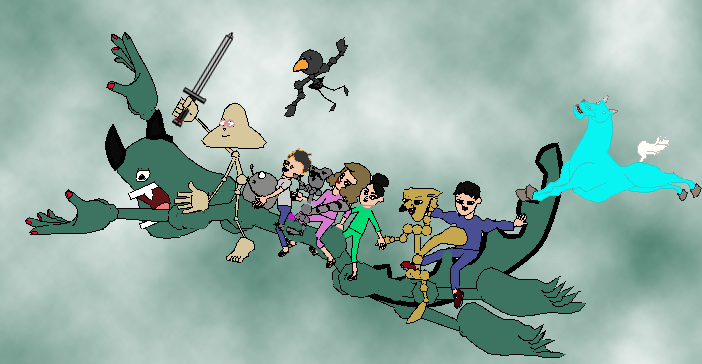 As the Kids, widgets, the Dream Horse and Warrior slid by them with the sack Crow told the Trolls that the one who did not move the longest gets the dust.